– Manually choose targets or directions when casting skills. You call the shots! – Strategy and speed combine. Master them both, and victory is truly in your hands! 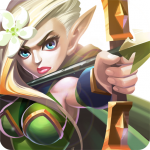 – Role play as diverse hero types, including dozens of unlockable heroes with hundreds of distinctive skills. – RPGs and RTS combine to bring you the ultimate Equipment System. – Charge to war in a global, cross-server PvP Arena with a turn-based ban/pick phase to level the playing field. – Defend your victory by strategically banning your opponent’s heroes depending on your own battle plan. – RTS combat challenges you to build your tower, upgrade your tech, and dispatch your armies to plunder resources from enemies. – Defend the kingdom together! Create alliances with millions of players from around the world to thrive in this war-torn landscape. – RTS battles let you conquer enemies to become the dominant alliance! 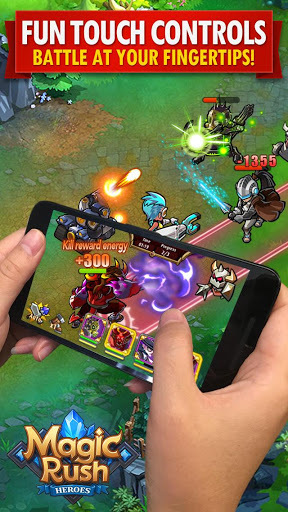 – An all-new “Hero Tower Defense” concept cleverly combines the heroes of the game with dozens of exquisitely designed Tower Defense stages. – Drop tower emplacements and activate Hero abilities in real time during exciting battles that you won’t want to put down! – Defend your based on one-of-a-kind map creations. – Weekly updates based on your feedback and suggestions! – Hard-working developers are constantly updating and improving the gaming experience with new gameplay! Are you the defender this kingdom needs? 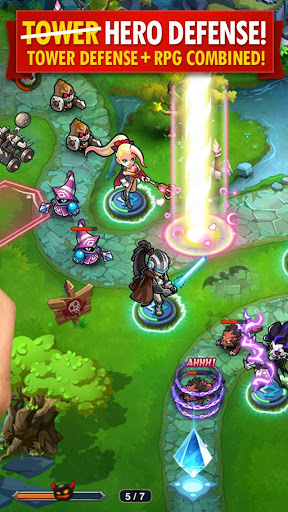 Download Magic Rush: Heroes and join the RTS war today! 1. Yuan: Damage increased for Globetrotter and Red Cyclone. 2. Luke: Fixed an error making the duration of Opening Salvo’s enemy healing debuff different from what was expected. 1. Enhancing Commander Equipment Shard & Ichor equipment to max level will unlock a refining feature allowing players to spend Shards and Ichor to refine equipment. 2. Fixed a problem preventing Holy Flame from not working occasionally.